Mapping nature-dependent tourism presents novel challenges. Value is not solely driven by ecology, but by a complex interaction of history, culture, infrastructure, politics and economics. The development of predictive models is therefore challenging, but at the same time, vast amounts of data—from government statistics to hotel and airline data—are available to support the development of actual maps of use and value. 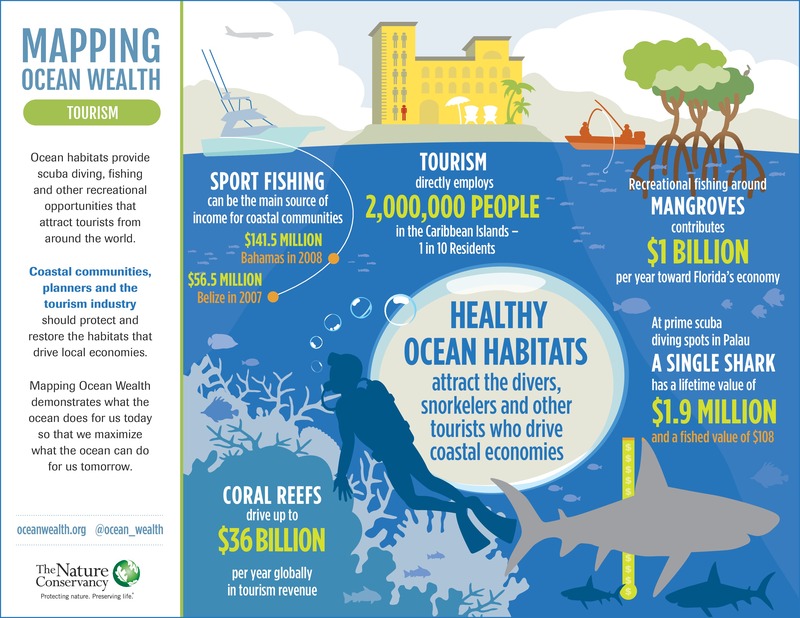 Mapping Ocean Wealth has been able to work with others on novel approaches to draw information from social media and crowd-sourced databases to provide indicators of tourist activities. We have used a variety of these to develop unique approaches to map nature-dependent tourism at global scales. Clearly only part of the tourism close to coral reefs is linked to the reefs. We conservatively assigned 10 percent of this tourism expenditure to what we called “reef adjacent” tourism. This is the “added value” we consider that reefs bring through the provision of calm water, white-sand beaches, top seafood and beautiful views. We then developed an estimate focused specifically on the “on-reef” tourism. This is the direct “use” of reefs, primarily for diving and snorkeling. We estimated this using two further datasets: the location of dive shops/centers and the location of underwater photographs on Flickr. Both independently, help us to approximate the amount of “on-reef” activities. For instance, where there are higher numbers of dive centers per hotel, or where underwater photos make up a higher proportion of all photos. We can then infer that diving and snorkeling will be an important part of the tourism agenda. The final stage of the mapping work was to link the values of the two components of tourism back out to the reefs that provide this value. We used a combination of proximity measures (for the reef-adjacent values) and direct-use locations derived from both the underwater photos and from large crowd-sourced datasets of dive sites worldwide. The results show many reefs (about 70 percent of the world total) are likely not important for coral reef tourism, but elsewhere the values are highly variable. Many leading coral reef tourism destinations are developing economies such as the Solomon Islands, Fiji, Belize or Honduras. Many are also small island nations with few other economic alternatives. For them, reef tourism is a lifeline, giving a critical boost to local economies. Currently, the MOW team is working on a project to refine these results using a combination of machine learning and artificial intelligence, and enhanced social media scraping techniques. Through a partnership with Microsoft and Esri, the MOW team is using image recognition to identify underwater photographs that have been uploaded to Flickr. In the original model, underwater images from Flickr were identified based on tags manually inserted by Flickr users. The team anticipates that using image recognition techniques will result in a more robust input dataset, leading to more accurate model results. In a related project, JetBlue and the World Travel and Tourism Council supported work to refine the estimates of reef-adjacent tourism in the Caribbean by using a combination of a literature review and social media to devise national estimates on the importance of coral reefs to reef-adjacent activities. 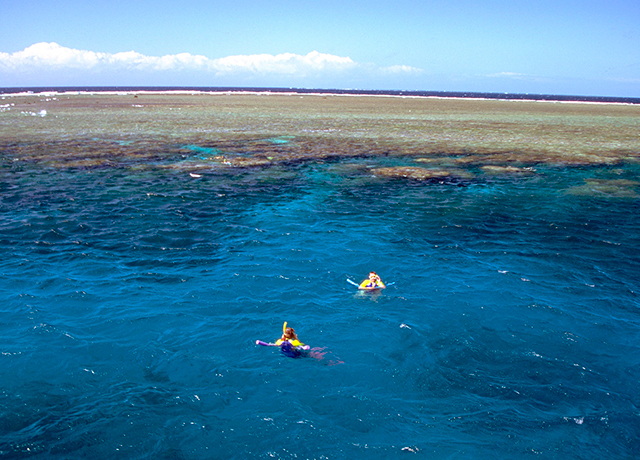 In the original model, reef-adjacent tourism was assigned a value of 10% across all jurisdictions. This project refined that approach by using a combination of social media content, layered with traditionally sourced data fro government agencies and the tourism industry to refine estimates of reef adjacent tourism that vary by country. Read more in the report and project summary. For our initial work on mapping, we turned to the popular travel website, TripAdvisor, to search for mangrove related “attractions.” A key part of our interest in using TripAdvisor was to look beyond simply where people are visiting these ecosystems, and to explore what they might be doing there. We were able, for example, to call out reviews of attractions that had keywords in, such as boardwalk, visitor center, kayaking and so on. 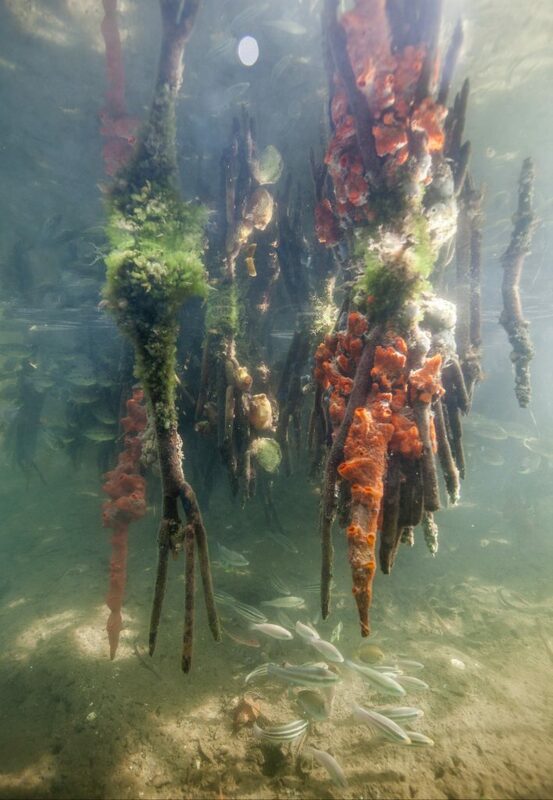 The global reach of mangrove tourism—some 2,000 attractions in 86 countries—are listed in the English pages of TripAdvisor as having mangroves, with several hundred more in other language versions of the site. Many sites have hundreds of individual reviews. The number of reviews may be some indication of visitation, but they can also be searched to find activities, which include kayaking, wildlife tours, boardwalks and fishing. Inset shows the distribution around the eastern Caribbean Sea. 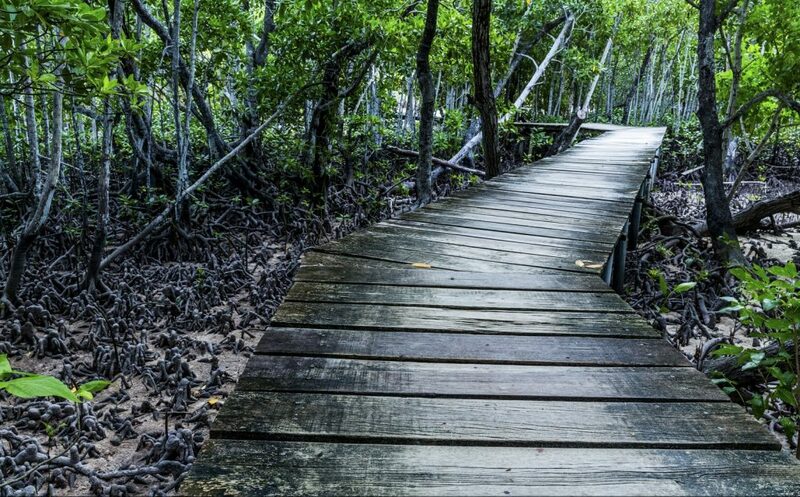 While mangrove tourism is unlikely to compete with some of the larger mass-tourism attractions, this initial work provides a critical caution to coastal developers, and highlights potential opportunities. 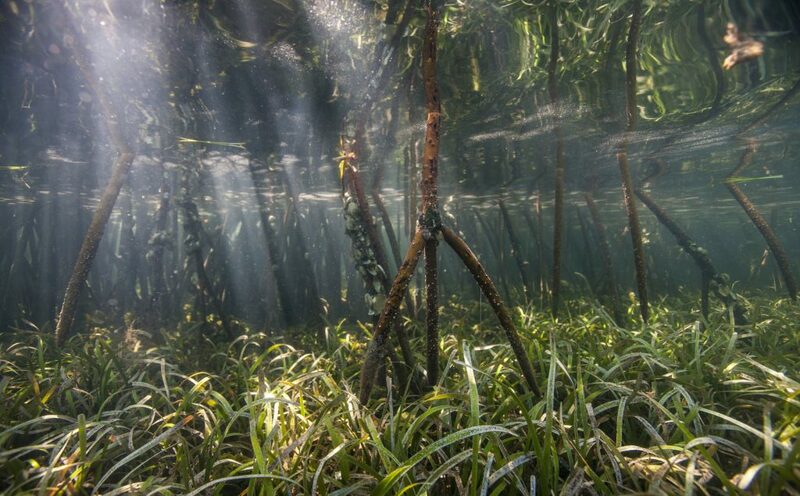 Mangroves have many values and adding tourism to the list may help countries to secure a future for a habitat that also feeds, protects and stores carbon. The oceans are home to the largest organisms on earth, and to some of the most spectacular gatherings of wildlife to be seen. Since the 1990s, there has been a remarkable transformation of public attitudes towards marine life. Access to places, from coral reefs to polar icecaps, where people can experience the abundance and the activities of nature up close has risen at rates far greater than overall increases in tourism. At the same time, interest in marine megafauna such as sharks, whales, dolphins and turtles has boomed. While some of these animals are still hunted, their value to fishers is dwarfed in many areas by their potential value in the tourism industry when they are alive. 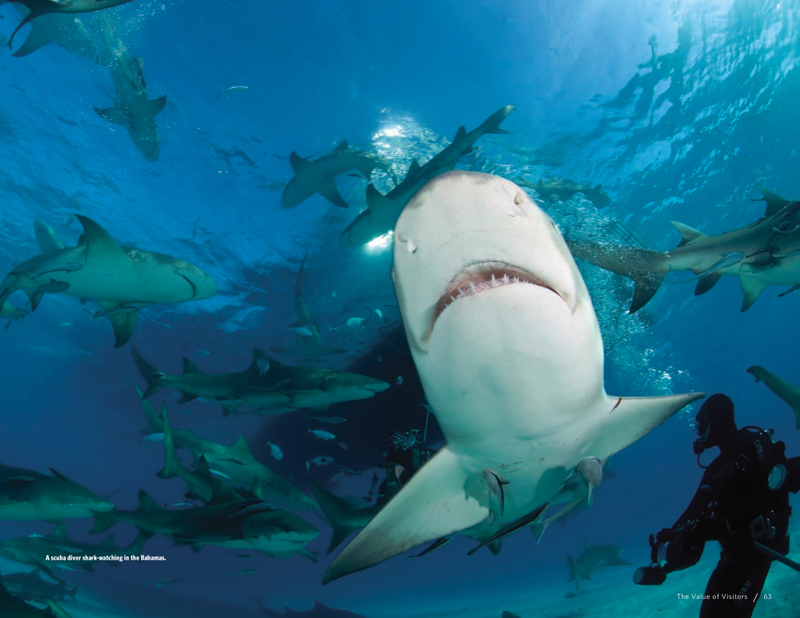 As an example, some 600,000 people have been estimated to spend over US$300 million annually to watch sharks, securing some 10,000 jobs worldwide. Worked down to individual locations, such values can be incredible. In Palau, for instance, an estimated population of 100 sharks are supporting $18 million worth of shark diving each year. The Mapping Ocean Wealth team is exploring the value of wildlife viewing tourism at the regional level. Read more here about our work in the Gulf of California. Travel and tourism are worth over nine percent of global GDP and support over 100 million jobs—one of the world’s largest industries. Coastal tourism is one of the largest components of this industry. Many visitors come for nature-based tourism, such as fishing, snorkeling on coral reefs, or whale-watching. Others come to enjoy the less-direct benefits of swimming in calm waters, or lying on white sandy beaches. By accurately differentiating and assessing the value of these benefits it will be far easier to encourage this industry to safeguard its own future, alongside building increased levels of protection for nature. 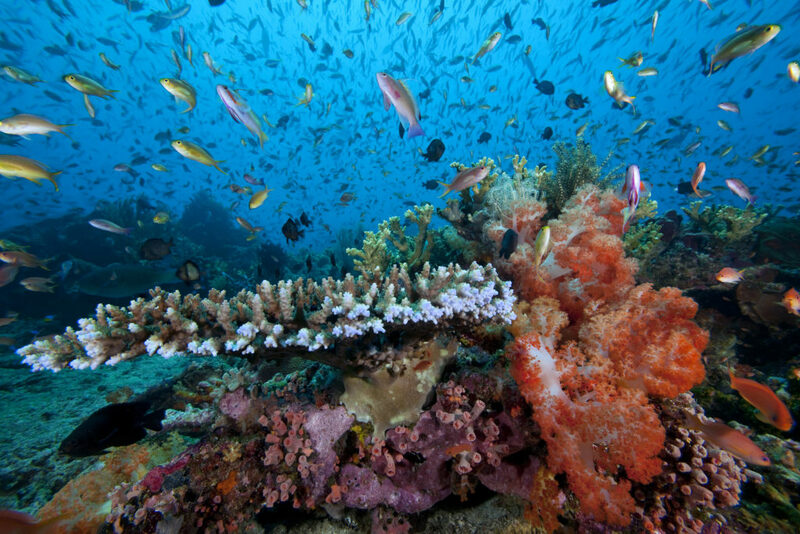 Coral reefs are the poster child of nature-based tourism. Over 350 million people annually travel to the coral reef coasts of the world. Many come specifically to visit the reefs themselves, to swim over shimmering gardens of coral amongst hordes of fish, but many more are unknowing beneficiaries of the reefs as producers of sand, coastal protection, food and remarkable vistas. These travelers support whole industries—hotels, shops, tours, airlines and supply chains that to cater to their every need, from dive equipment to food. Mangrove forests might not be at the forefront of attention when it comes to tourism, and some even have a reputation for both biting insects and thick mud, but there is another vision of mangroves which is quite different. Every day thousands of visitors crisscross mangroves all around the world, following boardwalks, on guided boat tours or in kayaks. They see manatees and alligators in the Florida Everglades, proboscis monkeys in Borneo; crocodiles, deer and sometimes even tigers in the Sundarbans. 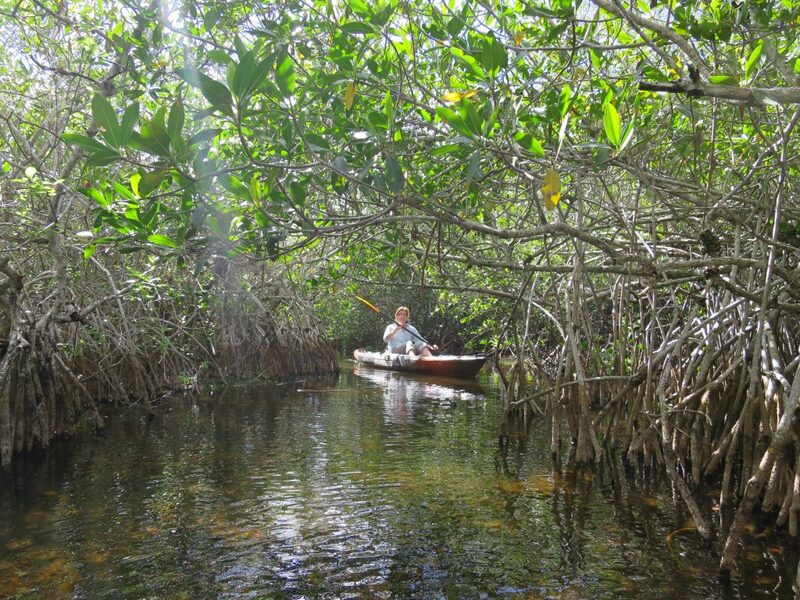 Recreational fishers are equally drawn to mangrove forests. In Australia, barramundi and mangrove jacks are among the most sought-after recreational fishing targets. In the Caribbean, the best fishing guides are paid $200 per day or more to take fly fishers out into the “flats” among the mangrove and seagrass to catch bonefish, permit or tarpon. These recreational fisheries depend on wilderness, and on healthy mangroves, but they also create considerable economic incentives to look after mangroves and the waters around them. Tourists choose their destinations for many different reasons—from wanting a change of climate and the solace of palm-lined coasts to culinary interest, culture, history and nature-based activities. So, the “dependency” on nature varies between tourists. Ecosystems, however, form the land and seascape that many of them, consciously or unconsciously, have come to enjoy. Nature-dependent tourism includes all tourism that depends on natural ecosystems to provide key benefits. Much of this dependency is overlooked, or taken for granted. Thousands of popular tropical beaches are dependent on nearby coral reefs that provide sand, turquoise waters and break the incoming waves, creating calm clear waters. Elsewhere, water quality is widely enhanced by filtering and microbial cleansing linked to saltmarshes, mangroves or oyster reefs. Even the rich seafood enjoyed by millions of travelers depends on the health of nearby ecosystems. The benefits from nature-based tourism, which are more reliant on healthy ecosystems, are better understood. 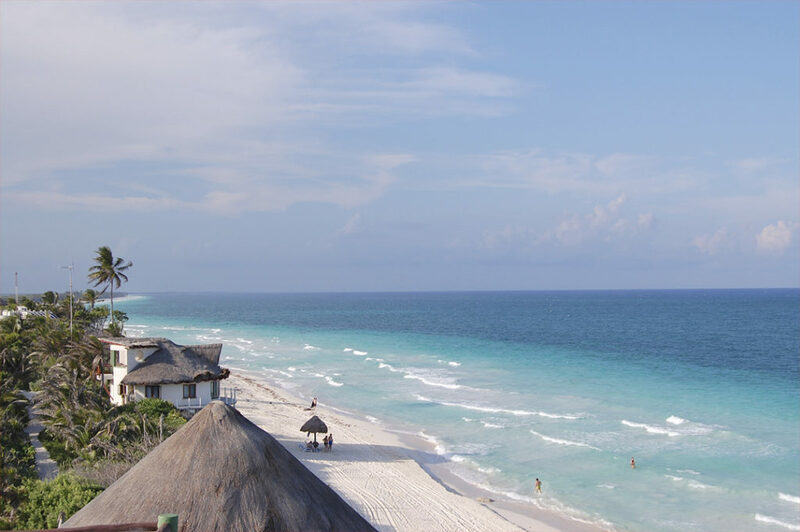 Hereactivities include wildlife watching, boating in natural habitats, fishing and scuba-diving. One study estimated that some 121 million people worldwide took part in at least some of these activities (not including boating) back in 2003, a number that will have grown considerably by now. A good example of nature-based tourism is recreational fishing. It is heavily dependent on the presence of healthy ecosystems. If managed well, such fishing can be sustainable, while also generating much greater benefits to local communities than commercial fishing. Tourism isn’t always a good thing – its impacts on nature can be considerable. Hotel development, marinas and cruise ports have destroyed coastal habitats. Incomplete sewage treatment pollutes coastal waters. Travel itself is a potent source of greenhouse gas emissions. Even nature-based tourism can be damaging. Overfishing leads to poorer fishing for future visitors. Harassment of marine mammals or turtles can affect their behavior, reducing their feeding or breeding success. Anchor damage can destroy corals carve up seagrass beds. It is against this background that the concept of sustainable tourism becomes critical. While tourism can cause harm, it doesn’t need to. Where tourism can be made sustainable it can enhance visitor experiences and generate long-term security for local populations. Furthermore, tourists are often highly supportive of additional charges such as park entrance fees when these are clearly going to support conservation. That way, tourism becomes a part of the solution, not an additional threat.